The sky’s the limit as the UK’s most innovative building solution goes global. Ipswich, Suffolk 19th December 2018. Uni-Prop International Ltd. today announced that it has been granted global patents in USA and Australia, opening the doors to world-wide sales of the Uni-Prop® temporary support system. Uni-Prop is an innovative adjustable building support that can be quickly adapted to also deliver hydraulic power. The device is widely regarded as a major development for the general building industry; the first such upgrade on steel temporary supports (sometimes known as Acrows) in over 80 years. As global interest in the product increases, the new patents will give Uni-Prop an important competitive advantage in its export markets. The construction industry in the USA is worth US$ 147 billion in revenue*. According to Global Construction magazine, Australia’s construction industry is worth around AUS$ 173 billion a year. More importantly, the magazine predicts that Australia looks set to benefit from a surge in renovation projects to the tune of AUS$ 35 billion between now and 2023. Renovation is a key application for the Uni-Prop as the application of controlled power of up to two tonnes ensures safety and fluidity of movement; both factors are of utmost importance in renovation projects. The facilitator of this is the detachable hydraulic assembly, which is supplied as a sealed unit in a bespoke HDPE case. It is the addition of this option that makes Uni-Prop so special and sets it apart from existing devices that are used on virtually every building site across the globe. The addition of patents in USA and Australia reserve the rights for Uni-Prop International Ltd to take legal action against anyone who makes, uses, sells or imports the Uni-Props without permission. Global distribution partners are now being sought to open retail channels. 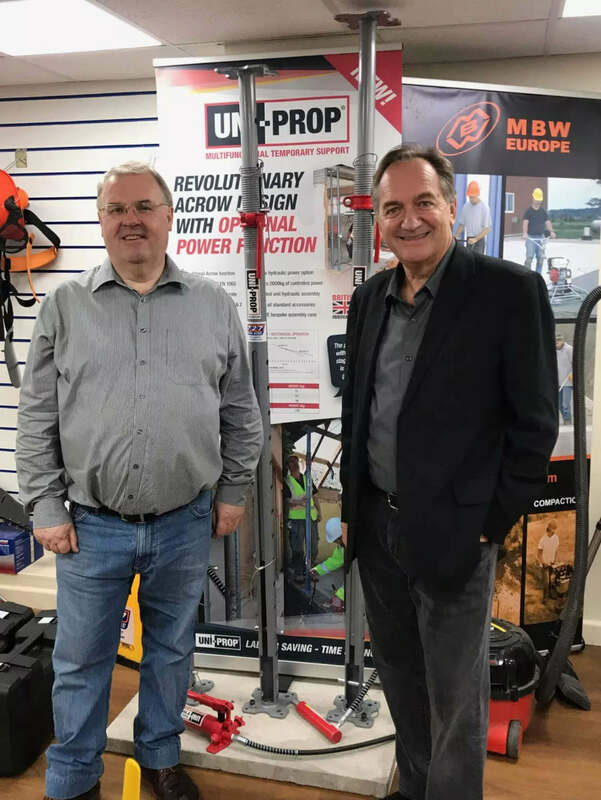 Nearer to home, in the UK the Uni-Prop is available through a network of hire shops and builders’ merchants – and is also accredited by the Hire Association Europe. Online purchases in the UK can be made via Building Products Online website** where there is a free 30 day trial offer for a limited time.